Even though motorcycle riders are well outnumbered by cars on the roads of Arizona, they can and do still present significant public safety challenges. For those that have been injured in a motorcycle accident, you are not alone. If the rider that caused a motorcycle crash was drinking, any injured passengers or other bikers involved have the right to file a personal injury claim against the intoxicated rider that caused the accident. If the unspeakable has happened, and you have lost a loved one due to an intoxicated rider, you can file a wrongful death claim. If you have been in or have lost a loved one in an accident with a drunk motorcycle rider, the most important thing you can do is take care of your physical and mental health. While it’s important that you take time to heal, you should also obtain representation from a Phoenix motorcycle crash attorney right away. Your attorney will work as your advocate and will be able to speak with you about the possibilities of compensation for damages and lost opportunity. At Plattner Verderame, P.C., we want to help. If you’ve been involved in a motorcycle accident with a drunk rider in Arizona, you’ll find compassion and professionalism when you work with us. The numbers don’t lie: Approximately half of all fatal single-vehicle motorcycle crashes involve alcohol. If you ride a motorcycle, you know your bike requires more skill and coordination to operate than a car. Being under the influence of alcohol slows your reflexes and impairs your ability to be safe on the road. When you are seeking your motorcycle license or when you are first riding, you’ll want to take a motorcycle safety class and always wear protective clothing. But none of this will matter if you ride your bike under the influence or while distracted. You could hurt or kill yourself and others. 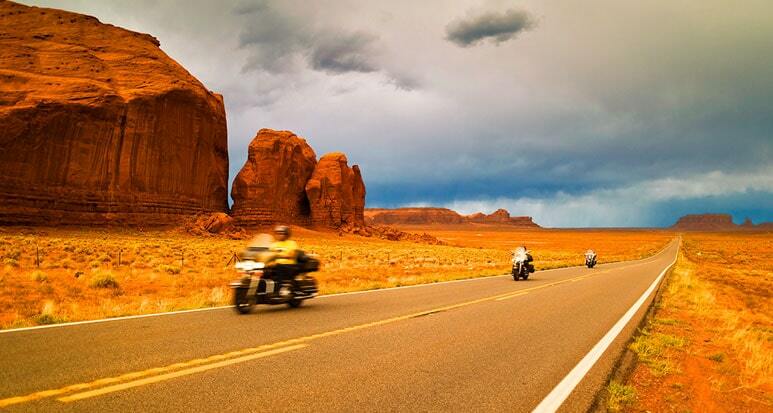 There are almost 200,000 registered motorcycles in the state of Arizona. Motorcycle crashes in 2015 numbered almost 3,000. Many of those accidents involved a drunk rider, and that could have been easily avoided by bikers not using alcohol and operating a motorcycle. According to the Arizona Department of Transportation, there were 132 fatalities in motorcycle crashes in Arizona alone in 2015. A National Highway Traffic Safety Administration (NHTSA) report classified crashes by vehicle type and found that motorcyclists had the highest percentage of alcohol-impaired fatalities with more than 27 percent of riders dying with a blood alcohol content (BAC) of 0.08 g/dL or higher. What’s more, there’s a false impression that motorcycle riders don’t often get DUIs or DWIs, or that the penalties for these infractions are not as severe as for a driver. This is categorically not true. In Arizona, the penalties for operating a car or a motorcycle under the influence are exactly the same, and police will pull over any rider that they suspect has been drinking. Arizona’s laws surrounding drinking and driving are incredibly strict. Riding a motorcycle does not exempt you from these punishments. At our firm, we have a team of highly knowledgeable professionals, and we want to provide you with the representation you need if you have been injured in a motorcycle crash involving a drunk rider. We will investigate and find all responsible parties, and our approachable Phoenix motorcycle accident lawyers will fight for your rights. Time is of the essence, though. The sooner you retain counsel after your accident, the better your evidence and documentation will be. It’s an unfortunate reality because you’re likely dealing with medical issues, but you need to act fast if you’ve been in a crash. Contact Plattner Verderame, P.C. today to talk with a team member about your legal recourse following injuries sustained due to an accident with a drunk motorcycle rider, or even the wrongful death of a loved one. Our cases are charged on a contingency-fee basis, which means there’s no need to worry about costs upfront. You will owe us nothing unless we obtain a verdict or settlement on your behalf. Call us at 602-783-8793, or complete our contact form.